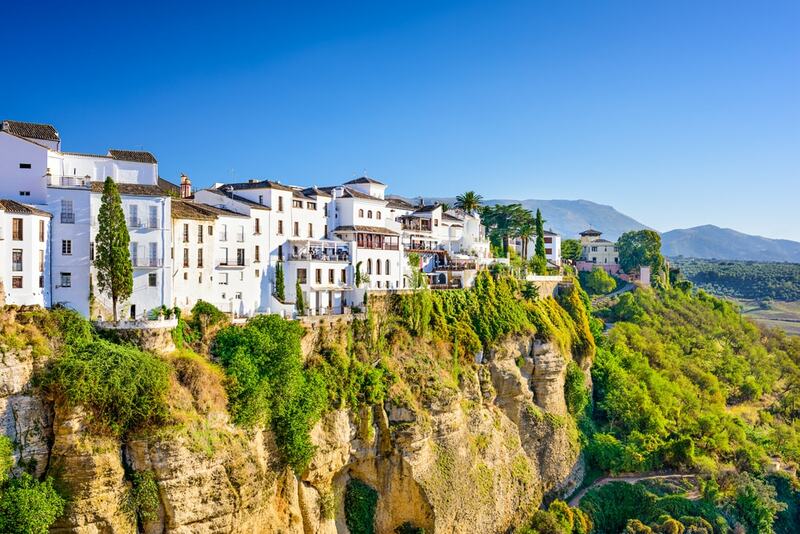 Famous throughout the world for its dramatic escarpments and wonderful views, and the El Tajo gorge that bares the Rio Guadalevin which runs through the middle of the town, Ronda is an historic town with plenty of centuries old architecture for visitors to enjoy. 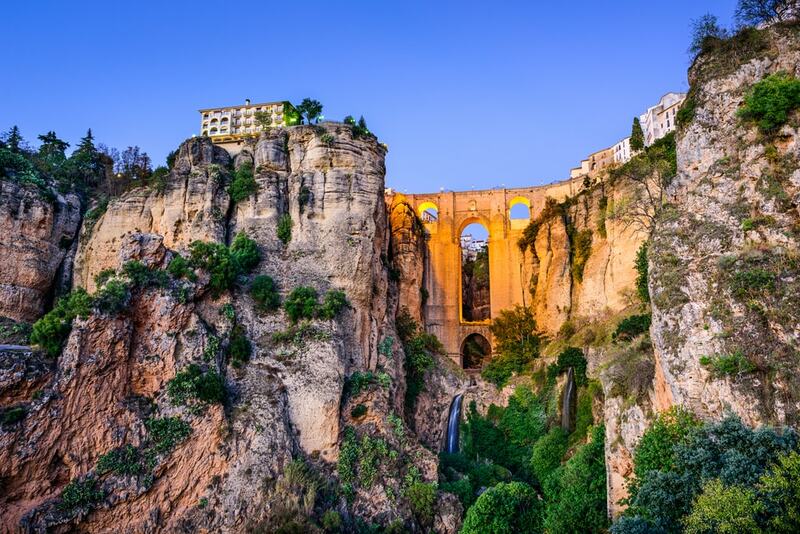 At its heart you’ll see the Puente Nuevo which was built in the 18th century and boasts fantastic views of the area from its lofty 100 metre high standing. Said to be the home of modern day bullfighting Ronda has one of the oldest and most beautiful bull rings in the whole of Spain. Built in 1785 it holds 5,000 spectators and was built by the same architect as the Puente Nuevo. Spectacular it certainly is. Another place on the ‘must see in Ronda’ list has to be the Arab Baths which are the oldest and best preserved in Spain. Built during the 13th century there is still a large cauldron visible which is what was used to heat the water. You can find the baths in the old Arab quarter, the San Miguel Quarter. Devoted to Ronda’s rich history the Mondragon palace is where you’ll find the impressive municipal museum and the amazing gardens. It’s very old too having been created in in 1314 and later was home to Queen Isabella and King Ferdinand. Inside you’ll find some great examples of Roman and Moorish tombs but it’s the gardens that stand out and are a great place to rest up in peace. The Palace of the Moorish King and the Water Mine is a fine place to take a look around and legend says that this was where the Moorish King, Almonated, lived. A man reputed to take his wine from the skulls of his enemies. The building was finally finished in the 18th century and later refurbished by the Duchess of Parcent.